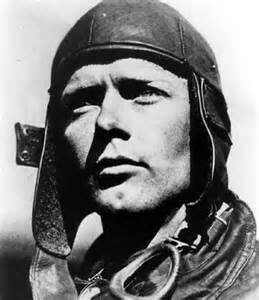 Charles Augustus Lindbergh was born on February 4, 1902 in Detroit, Michigan. His father was a lawyer and later became the Sixth District Congressman, his mother was a chemistry teacher. As a child Charles was interested in airplanes. When he was 18 years old he went to the University of Wisconsin to study Engineering. In 1924, two years later, he left the college and enlisted in the Army’s flying school. One year later in 1925 Charles graduated at the top of his class. He became know as the “cautious and capable pilot”. In 1926 he flew mail to a variety of locations in Central America. He decided he was up for the biggest challenge of his life and decided to try to win the Orteig Prize, which stated that the first person to successfully cross the Atlantic Ocean would win a prize of $25,000. 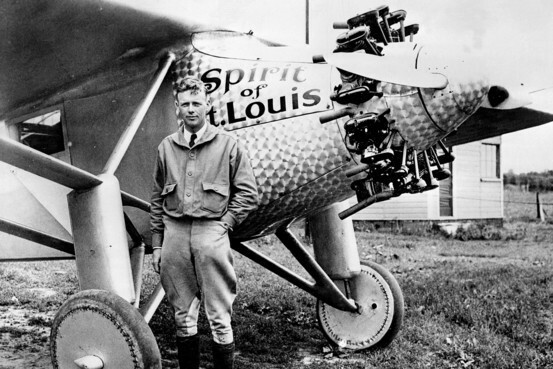 Lindbergh assisted in building and designing his plane, which is called The Spirit of St. Louis, that would travel 3,600 miles across the Atlantic Ocean. On May 20, 1927 at 7:52 A.M. Lindbergh took off from Roosevelt Field on Long Island. On May 21, 1927 at 5:21 P.M. he landed in Paris. He became an immediate hero throughout the world. In late 1927 he flew to Latin American countries to give speeches while he was in Mexico he met Anne Spencer Morrow. On May 27, 1927 the two were married. 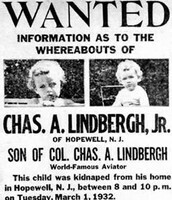 On March 1, 1932 there son Charles Augustus, Jr. was kidnapped from their home in New Jersey. Later the boys body was found, Bruno Richard Hauptmann was arrested and charged with murder, he was executed in 1936. Congress passed the Lindbergh Law which stated kidnapping across state lines a federal crime. The family moved to Europe for more privacy with there 5 children. In Europe he used Politics and military expertise to improve the lives of others. In the 1939’s the Lindbergh's moved back to the United States. On August 26, 1974 in his home in Maui, Hawaii, Charles died from cancer. This is the route Charles took. It took him 33 1/2 hours to travel 3,600 miles. 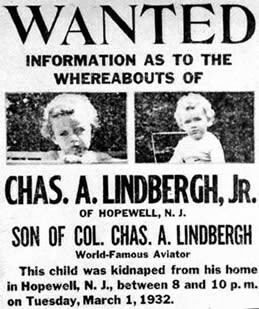 This is a wanted sign to help alert people to look for/ help find Charles Lindbergh's son. This is the design of Charles plane, which he assisted in making. Before Charles became a hero what was his job? 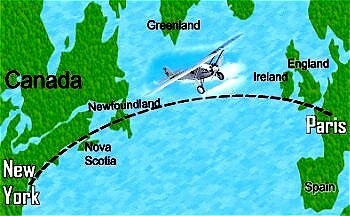 How long did it take Charles to Fly across the Atlantic Ocean? How old was his son when he was kidnapped? Charles changed the history of airplanes and automobiles for the better. He showed Americans that you can do anything you put your mind to.